How does the plant, fruit or flower grow?? 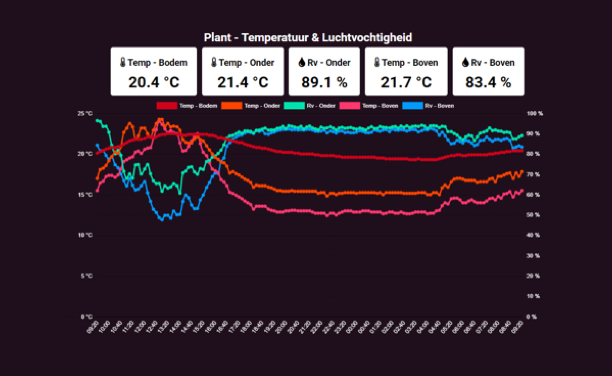 Realtime analysis of the plant How many flower buds does my plant have? What is the size of the fruits? How many tomato branches are growing on one plant? How does the seedling develop? Follow the growth of the crop from day to day. Monitor the developments and analyze which cultivation strategy you are going to apply based on our cloud dashboard. What makes GearSense unique? 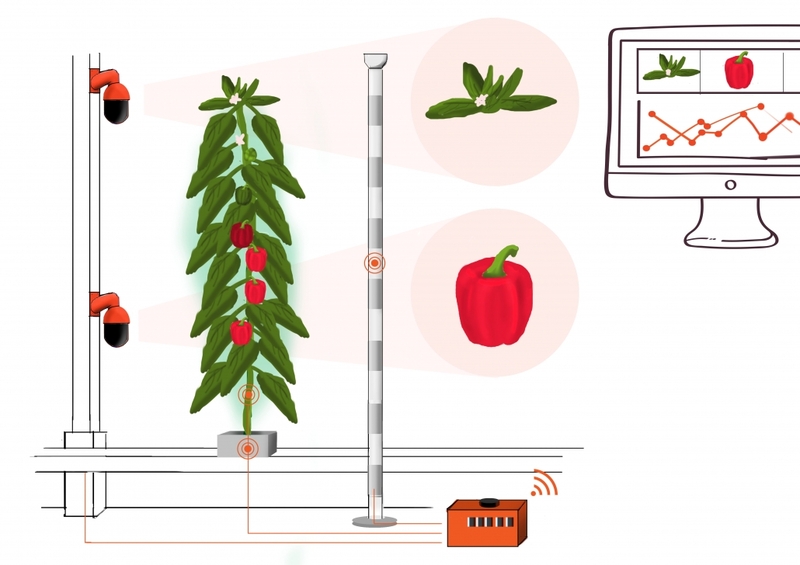 The combination between the image recordings and sensors – to monitor the product – such as a tomato, cucumber, bell pepper, but also chrysanthemum, gerbera or rose – from a to z. 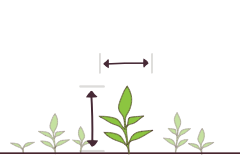 Day in day out on the screen you can see the growth and the behavior of the plant in response to the changing environmental factors, such as the climate in the greenhouse and the circumstances surrounding the plant. 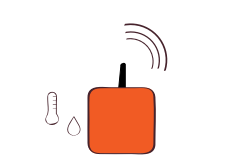 The plant, fruit or flower is the sensor that tell us whether it grows well, whether it has the right amount of water or food… and whether it feels comfortable with the set temperature. The product tells something about its own life and that’s why we analyze from day to day how its life can become even better. 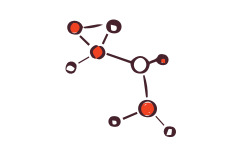 Measuring = knowing… and by linking the measurement data to your own analysis tools or to map your growth model, you can continuously optimize the development of the plant. With image analysis and artificial intelligence, we detect, measure and assess the development of the product throughout the day, and report on periods of growth and development. Sensor data: Par, temp, Rv, soil (moisture and temperature), etc. Have you gotten curious? For more information, make an appointment with Simone! Would you rather export your data to your own package or environment, that’s possible with the Gearbox API. This way you have access to the most up-to-date data on the growth of the plant. 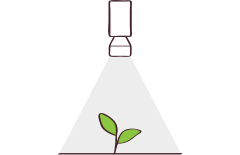 Of course GearSense will link you to LetsGrow to analyze and review all cultivation and crop information in one place. robotics for the horticulture, manufacturing, high-tech industry and (plant) research sectors. Contact us for more information.